Rehabilitating deep spinal muscles and core strengthening are critical after spinal decompression therapy. Core stabilization and strengthening the back and spine muscles will ensure that you protect your investment and remain pain free. SpineForce high-tech rehabilitation offers state-of-the-art, FDA cleared technology to help you recover quickly with scientific results. Core and spine strengthening is a physician assisted program that is covered by most insurance. 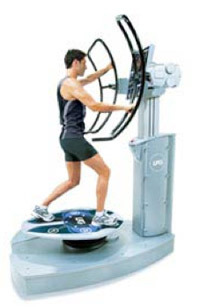 SpineForce improves muscle strength, stability, joint mobilization, balance, proprioception, flexibility, stamina, coordination, posture and range of motion all in one unique technology. Traditional low-tech therapies such as swiss balls, elastic bands, wobble boards and one-dimensional weight lifting equipment take time, are inconsistent, and offer no feedback. SpineForce high-tech rehab offers challenging and motivating programs through its virtual trainer that gives you instant individual feedback and scientific results of your progress. 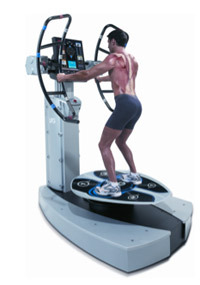 Designed for progressive work, from simple warm-up exercises to intensive muscular strengthening and reconditioning, this state-of-the-art, automated technology is equipped with highly perceptive sensors that precisely isolate muscle groups to strengthen areas of weakness or instability. 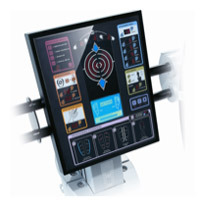 SpineForce’s virtual trainer and interactive visual response system, motivates and challenges the patients proprioception, balance and coordination rehabilitation efforts. SpineForce was designed and developed by leading European physicians, physical therapists, strength conditioning coaches and experts in Biomechanics to offer the most state-of-the-art three dimensional rehabilitation exercise equipment in the world today. SpineForce is the only technology in the world that has been designed to three dimensionally target and strengthen the 180 deep spinal and core muscles. Deep spinal musculature is the most important, yet most neglected part of the body. SpineForce is the first technology designed to target and recondition the deep spinal muscles for whole body wellness and injury recovery. Reinforcing and conditioning the entire spinal structure, SpineForce increases overall strength, stability, balance, coordination and posture, so you can live your life to the fullest – pain free! To learn more or to schedule your appointment, call (248) 393-1211 today.